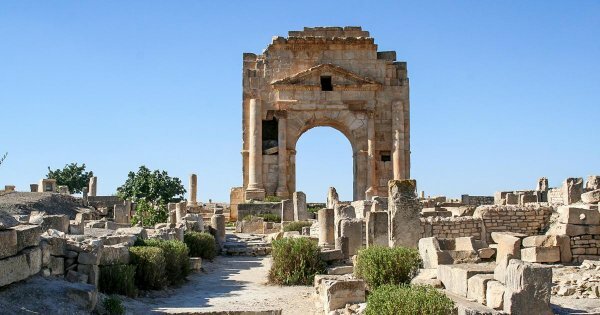 Visit Tunisia on a private tour and you are brought into a world of exotic cities, ancient ruins and luxurious sandy shores. Situated in the northwest of Africa, Tunisia is a small country with part of it lying between the countries of Algeria and Libya. Many would say that Tunisia has every aspect of North Africa wrapped up in one small package. Ancient ruins to be explored on sightseeing tours, exotic cities to see on guided tours, Sahara dunes to take jeep desert safaris, Souks for hours of shopping, stunning sandy beaches and deep blue seas for relaxing. 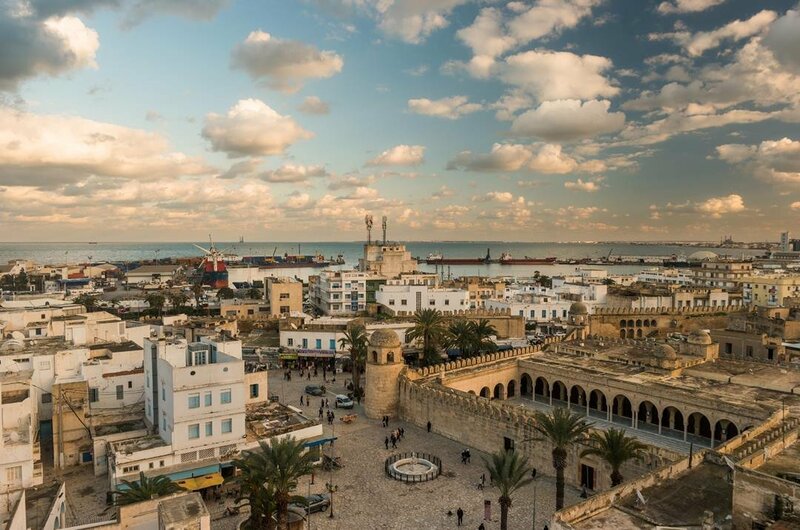 Tunis is the country’s capital city, an interesting place and perfect as an introduction to Tunisia. There are buildings dating back to the 7th century in the Medina, a labyrinth of alleys and tunnels. 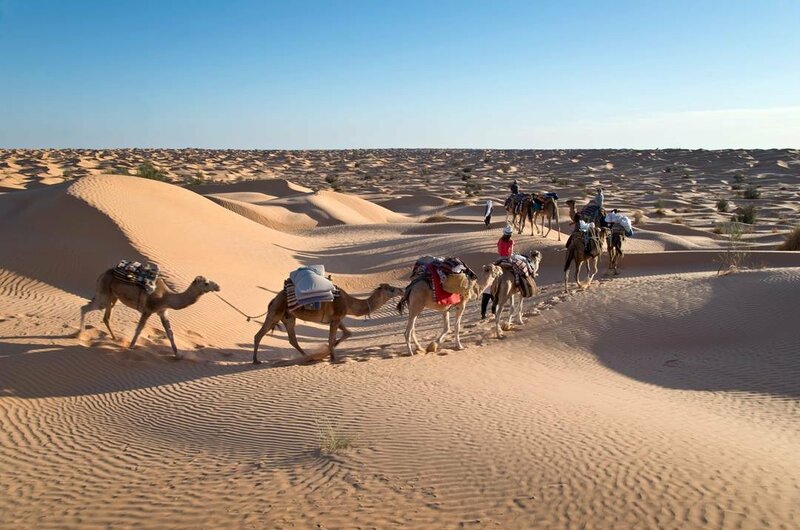 The Sahara Desert covers much of the inland of Tunisia and it is well worth visiting the Grand Erg Oriental. This area is a field of sand dunes where you can go on desert jeep safaris, leisure camel rides or just go mad riding dune buggies. Ideally, you should plan to be there at sunset; there is no better way to see the sun going down. From the sand to the water, Tunisia has excellent diving facilities especially in the seas off Hammamet. Here there are hidden sea caves, shipwrecks and coral reefs all to be explored. Alternatively above water try windsurfing, jet skiing or relaxing boat tours. 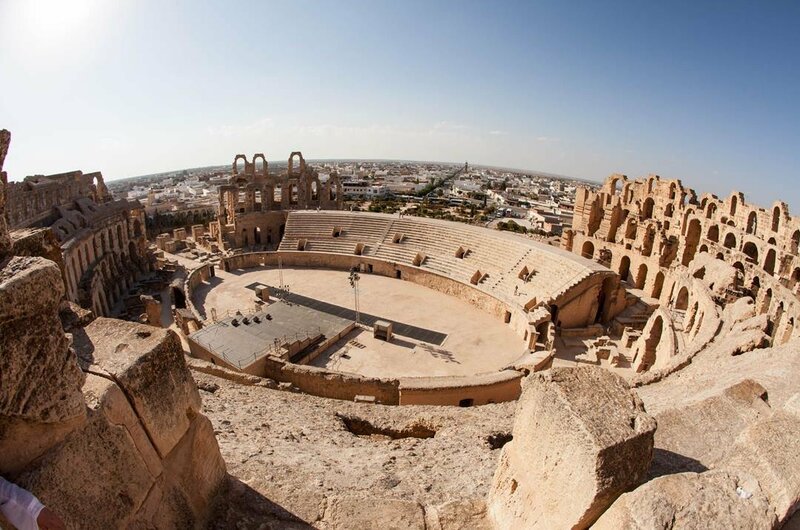 1 To see the spectacular El Djem Amphitheater on a guided tour is a must when you are visiting Tunisia. The Amphitheatre was built as a symbol of prosperity towards the end of the 2nd century AD. In the Roman world, it is the fourth largest amphitheatre. This massive structure is incredible and for so much of it to be still standing today says a lot about the architects and builders from ancient times. 2 There is no denying that jeep desert safaris are exciting and everyone should take one to the Sahara Desert Grand Erg Oriental region. This beautiful field of sand dunes is stunning and ideally, everyone should try to be here when the sun is setting. It is amazing to see the sun slowly creep go down behind the dunes. For that extra thrill, take a lazy camel ride or go crazy on dune buggies. 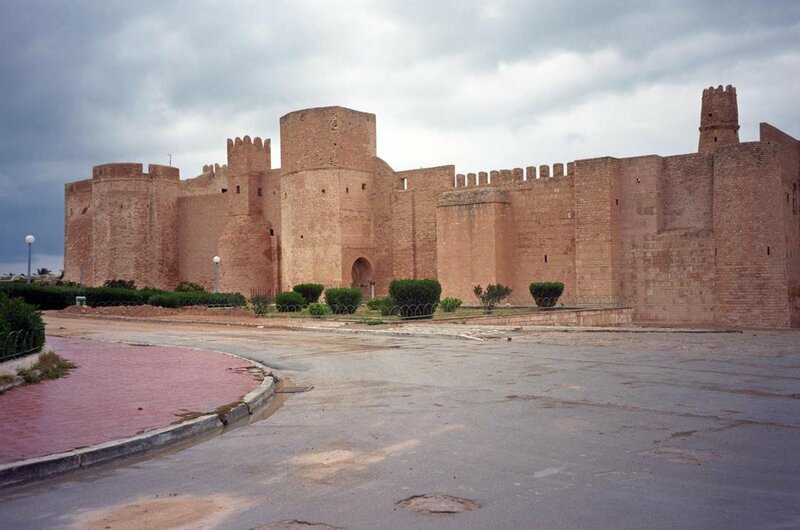 3 Tunis, the capital city of Tunisia, is a great place to visit and take sightseeing tours. From stunning architecture dating back to the 7th century, The Bardo Museum which is home to the most famous mosaic collection to Carthage archaeological site and much more. There is also many adventurous activities, great shopping in the Souks, excellent cuisine in traditional restaurants and a never ending nightlife. 4 Kairouan, Tunisia is full of mosques, tombs, madrassas and monuments all of which are fascinating places to visit on guided tours. 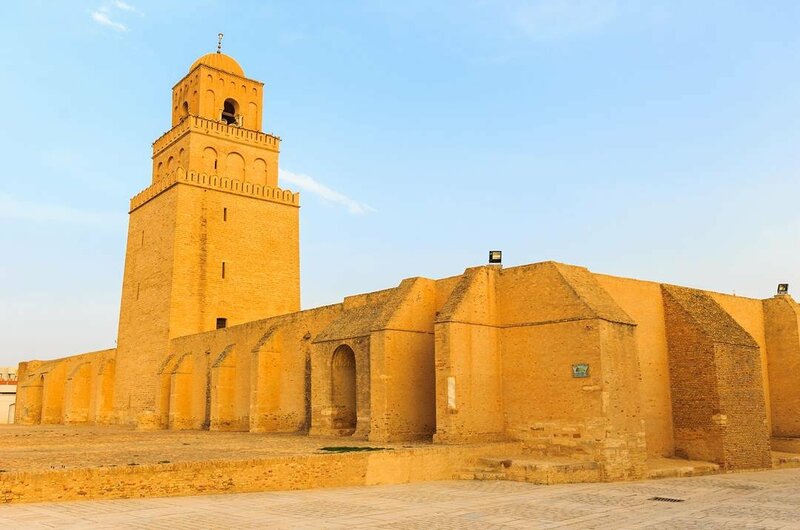 When it comes to the Muslim faith, Kairouan is regarded as the fourth most important city. There is amazing Arabic architecture in the skinny minarets and large domes that shape the city’s skyline. The most enchanting part of Kairouan is the old town, Medina. 5 Djerba is an island 5 km off the southern coast of Tunisia. It is somewhere to have a relaxing holiday or you can visit on a boat tour for the day. It has idyllic sandy beaches but also has many sights to be seen. 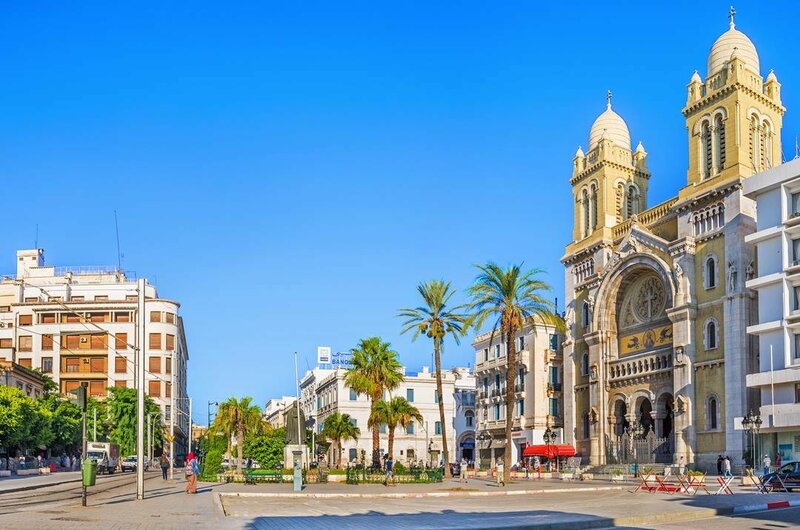 Take sightseeing tours to Guellala - a pottery center, La Ghriba Synagogue, Bordj el Kabir, - a fort, the Folk Museum or stroll through theHoumt Souk Old town - a picturesque area of alleyways and souvenir shops. 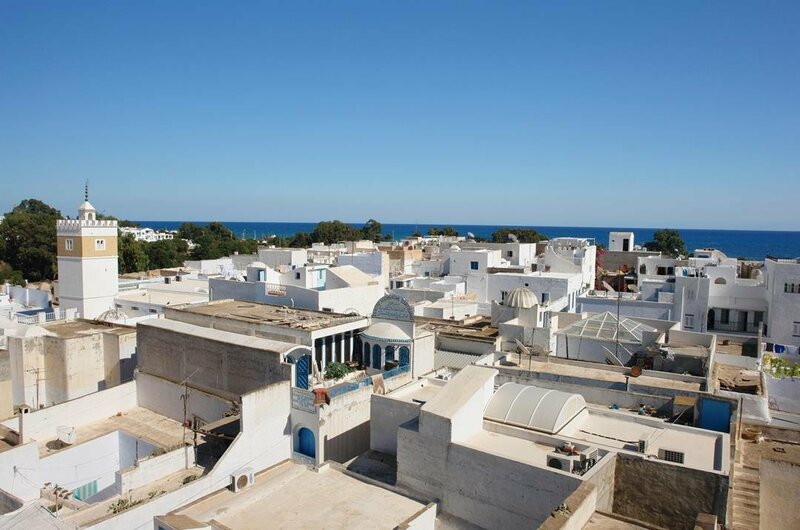 6 Go on a sightseeing tour to the picturesque village of Sidi Bou Said. This stunningly beautiful village looks like it fell from an artists canvas, very surreal. Whitewashed alleyways and buildings of Tunisian village architecture are of the finest and most adorable. 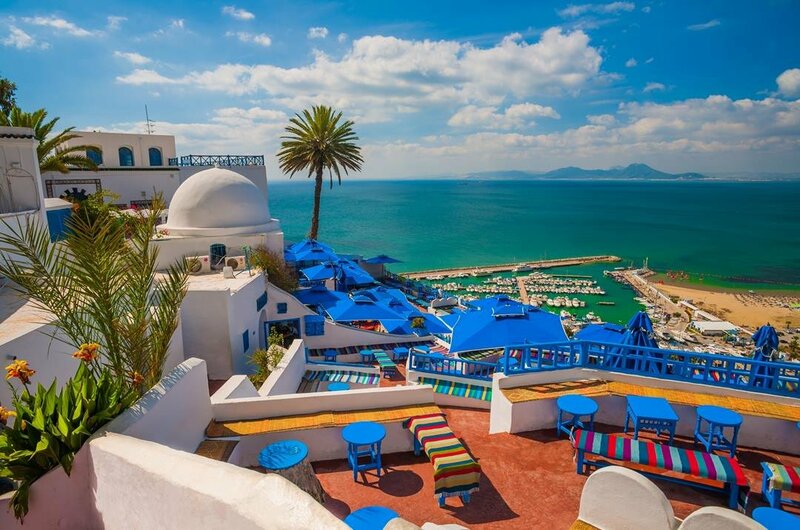 Set upon a cliff top, Sidi Bou Said has cute and petite qualities; you cannot help but fall in love with it. The views are amazing. 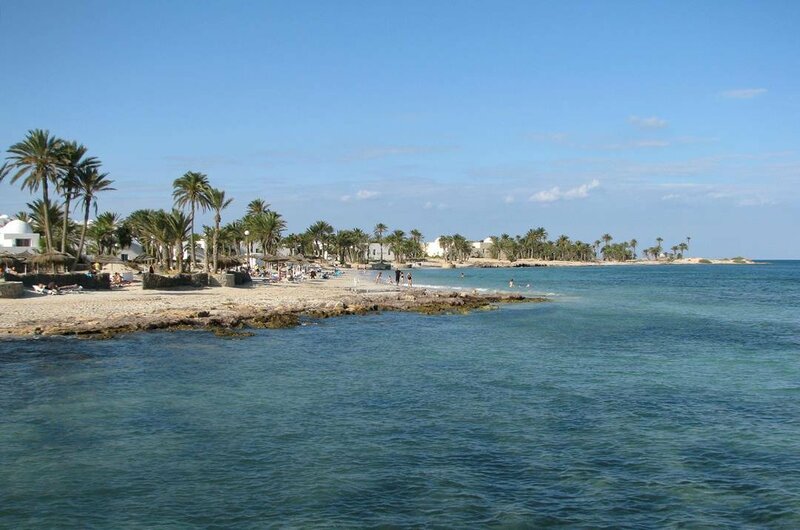 7 Another popular place to visit for holiday of just for a sightseeing tour is Sousse. It is a mixture of holiday resorts and culture that you find here. As with most cities in Tunisia, the Medina is a very popular attraction. The old town has beautiful architecture and narrow laneways that have not changed through the centuries. There are mosques and major landmarks that should be seen and museums to learn its history. 8 A sightseeing tour in Hammamet is second to the water activities and lazing in the sun. This area of Tunisia wraps around a cove very snugly on the Cap Bon Peninsula. There are excellent water activities such as diving to explore the deep hidden underwater caves, ancient shipwrecks and beautiful coral reefs. Windsurfing is also very popular here, but the most relaxing thing is a boat tour of the waters. 9 Translated into English Chott el Djerid means ‘Lagoon of the Land of Palms’, that is not what you see when you visit here on a sightseeing tour. 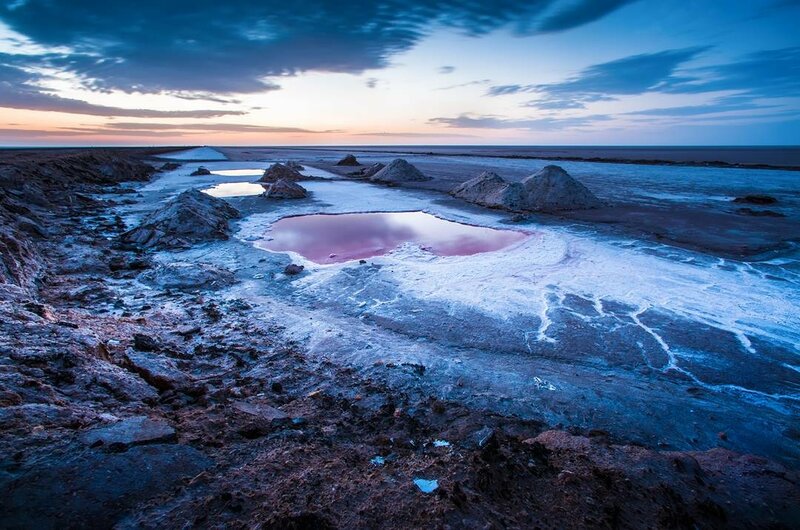 It is a sprawling salt pan that was once a very long time ago a lake. It has been recounted as one of the Earths most Mars-like places. There is an odd beauty to this landscape with shimmering mirages on the horizon and white cracked land. 10 For history, culture, architecture and sandy shores, take a sightseeing tour to the city of Monastir. It is here you can see the famous Ribat that was featured in many movies one being the 'life of Brian', El Djem Amphitheater is close by, the golden dome of the Habib Bourguiba Mausoleum, stunning mosques, beautiful beaches, dazzling harbour and an enjoyable Medina to stroll around. 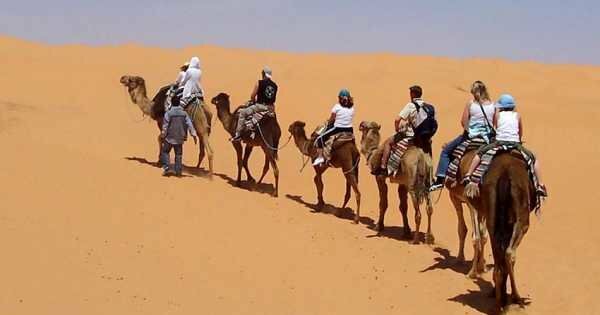 A visit to the Sahara desert is an experience everyone should have at least once in their lifetime. It is a journey well worth the effort.